Medical Malpractice Help » Medical Malpractice Causes » Medical Negligence » Can Patients Sue For EGD Perforation Injuries? An upper GI endoscopy, usually called an “EGD” (after “EsophagoGastroDuodenoscopy,” the proper medical name of the procedure), is the visual examination of the upper intestinal tract (esophagus, stomach, and duodenum) using a lighted, flexible, fiber-optic endoscope. Although EGD is considered a relatively safe diagnostic procedure, there have been reported instances of accidental esophageal perforation (puncture) that occurred during an EGD. Ulcers that have developed in the esophagus, stomach or duodenum that cause symptoms such as difficulty swallowing, upper abdominal pain or chronic indigestion. Such ulcers often, but not always, represent the early stages of cancers involving these organs. Intestinal bleeding, which can be chronic and slow, or acute and massive. Reflux of stomach acids and digestive juices into the esophagus producing a condition known as chronic esophagitis. Chronic gastritis, an inflammation of the lining of the stomach. EGD is routinely performed to identify and/or treat any of these, or other, problems. For example, if a bleeding site is identified, treatment can be immediately instituted to stop the bleeding, or if a suspicious polyp or ulcer is identified, it can be removed or biopsied without resorting to major surgery. An EGD is usually performed on an outpatient basis. The patient will be required to refrain from eating or drinking anything for at least eight hours prior to the examination and may be told to discontinue medications such as blood thinners (e.g. warfarin) prior to the procedure. The patient’s throat is first anesthetized using a spray or liquid topical anesthetic and an a sedative will be given intravenously to relax the patient. The endoscope is then inserted, under the visual control of the physician, through the mouth and throat into the upper gastrointestinal tract. If any suspicious-appearing areas are encountered during the exam, small tissue samples may be taken using small instruments attached to the endoscope. Samples are submitted to a pathologist who will perform a detailed analysis of them. The EGD examination is usually recorded on either video tape or some form of digital media for later evaluation if required. As mentioned previously, EGD is relatively free of both significant risk and unpleasant side effects, with mild throat irritation/discomfort being by far the most common complaint to be reported following the procedure. However, there have been isolated reports of excessive bleeding after the removal of unusually large polyps or similar growths from the esophagus or stomach. In rare instances, a perforation or tear of the esophagus may go unnoticed during the procedure only to have symptoms appear hours or even days after the examination. Anyone who suspects that they may have been injured during a routine EGD should contact an experienced medical malpractice attorney. 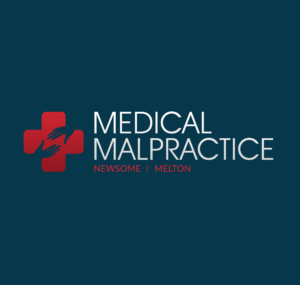 Retaining an experienced medical malpractice attorney is the best assurance that victims of medical malpractice will be fully compensated for the consequences of their injuries and file their claims properly and in a timely manner.